Two years later, the bad news is that you can’t entirely avoid the stuff. There are a few documents the government insists I keep in paper form: my passport and driving licence, for example. There are documents that still arrive in paper form, and documents I have to supply in paper form. My first step was to investigate the legal niceties. This was a surprisingly refreshing experience. There are, I discovered, vanishingly few documents one is required to store in paper form in the UK. Passport, driving licence, car registration, car tax – those were pretty much it. There were many more documents you’d imagine you might have to store in paper form but in fact don’t. The title deeds to your house? Obsolete: lenders and solicitors simply check the online property database to ascertain the legal owner of a property. Tax forms? Receipts? Here in the UK, the taxman is perfectly happy with scanned copies, requiring them only to be legible and to show both sides of the document where applicable. If you’re outside the UK, you’ll need to do your own research – do report back in the comments. Step two was to review my existing paperwork to decide what needed to be scanned and what could be discarded. With things like household bills, I’d simply filed each one as it arrived, but never taken the time to discard old ones. There are times when going back a year or so might be useful (for example, plugging in figures to a comparison site); knowing how much I spent on gas in 2001 probably fell into the less useful category. 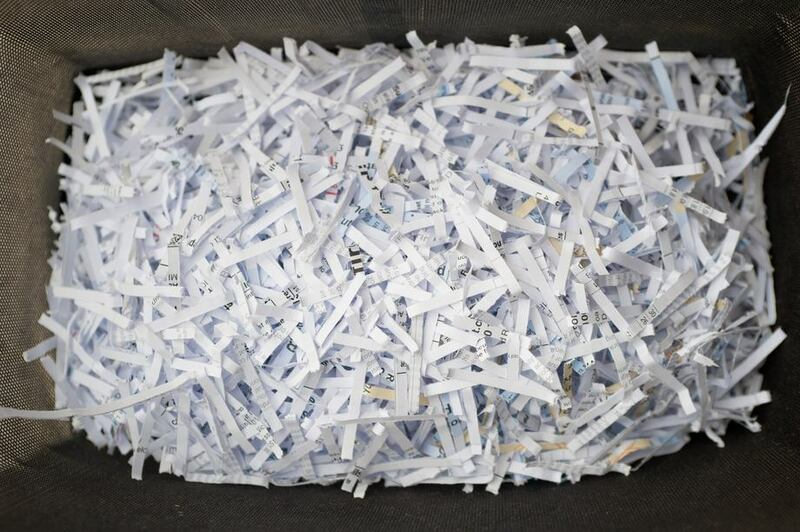 My paranoia about identity theft meant I shredded absolutely everything containing any personal data at all, even a name and address. Having documents on your computer is no use if you can’t find them, so some thought is required about how to organize them. I was fortunate there: the majority of my documents were already stored in electronic form, and my Mac is organised into folders and sub-folders borders to within an inch of its life, so this was a straightforward process. Most paper documents would fit neatly into the existing structure, while others merely required the addition of a sub-folder here and there. For those who are less borderline-OCD in their PC usage, I’d strongly suggest creating a logical folder structure before you go anywhere near a scanner – otherwise you’ll end up with a mess of files equivalent to putting all your papers into a single cardboard box in the loft. You’ll want a very good backup regime in place, otherwise you could find yourself on the losing side of an argument with the taxman when seven years of receipts disappears with a stolen or damaged laptop. My primary backup is a pair of Time Machine backups: a Time Capsule and an external hard drive. If you don’t already have a Time Machine backup, simply connect a drive and OS X will ask you if you want to use it for Time Machine. To add a second one, connect a second drive then go into System Preferences > Time Machine and select Add a Time Machine drive. The Mac will then automatically alternate between them on an hourly basis. As a belt-and-braces man, I have a third drive set up as a clone of my Mac drives. Carbon Copy Clone automatically updates these clones weekly (the timing deliberate – if something completely trashed my drive, I’d want a clone of an earlier state). Then as a last-ditch house-fire safeguard, I have a CrashPlan account which maintains a complete backup in the cloud. I chose CrashPlan because you can set it to back up absolutely everything, and there is no capacity limit. The next step is to scan that 6-inch pile of paperwork. The only sane way to scan hundreds of pages is a sheet-fed scanner with a document hopper: stick in up to 50 pages at a time and get both sides scanned at around 20 pages a minute. The problem is that sheet-fed scanners cost £3-400 and you only really need them once. For ongoing scanning of the bits of paper that arrive afterwards, they are overkill. My suggestion there is borrow or hire a sheet-fed scanner for the initial conversion from paper, then just buy a nice, compact single-sheet scanner for ongoing use (see below). My well-organised folder structure meant I could be confident of finding documents when I needed them, so I opted for flat PDFs: fast to scan and small file-sizes. If you’re less organised with your folders, searchable PDFs may be your better bet, so that Spotlight can search the contents of the documents. Scanning the existing paperwork is of course only half the battle: you now need to ensure you don’t start re-acquiring paper. For this, I invested in a USB-powered portable scanner. This only scans one sheet at a time, single-sided, but that’s perfect adequate when all it has to do is keep up with the few pieces of paper that I acquire on a daily basis: bank statements, bills, receipts and so on. I have a simple rule: all incoming paperwork is scanned on arrival. So when the post arrives, anything that I don’t need to keep is binned or shredded, the things I need to keep are scanned first. That averages out at about a minute of scanning a day. What of those documents that get presented on the web and you need to print? 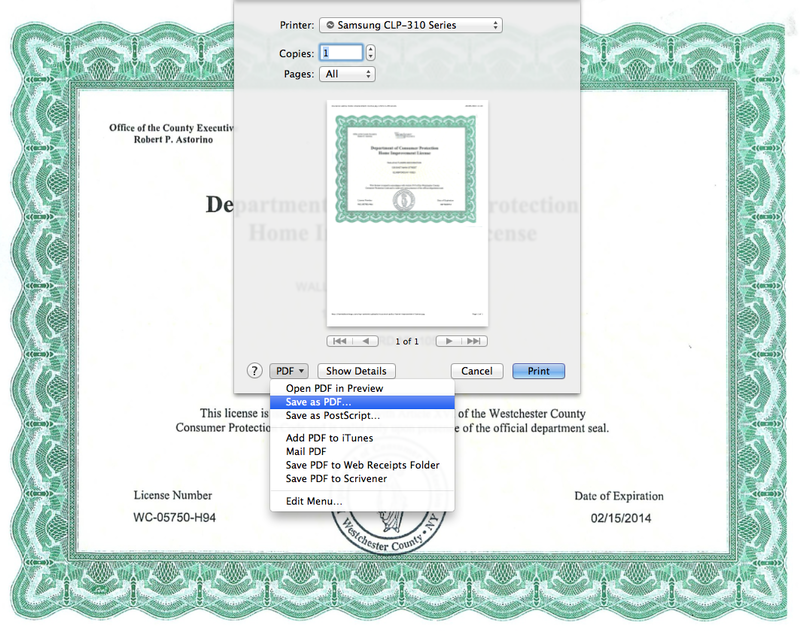 No problem: OS X has a built-in PDF printer. Simply do CMD-P as usual to print, then go to the PDF drop-down bottom-left of the print dialogue and select Save As PDF. The final piece of the puzzle was dealing with documents I might need to have to hand while away from my laptop. Those documents are stored in a Dropbox folder called iPad Transfers and I use the excellent GoodReader app to store them on my iPad. GoodReader allows you to create a logical folder structure, so you can be as organised on your iPad as on your Mac. GoodReader also runs on the iPhone, so you can store documents there if you don’t have an iPad (or don’t habitually carry it around with you). There are still a few holes in the paper-free dream. 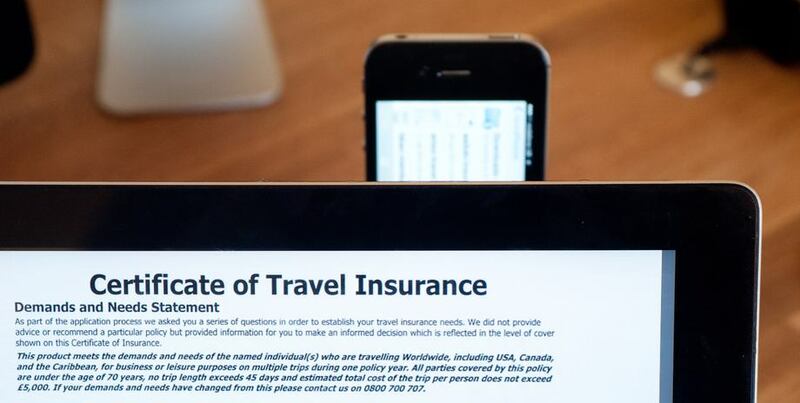 While most airlines these days offer electronic boarding passes, either through their own apps, in Passbook or simply as a PDF file, there are still a few exceptions. Train companies, too, haven’t yet joined the brave new world: they still seem to expect you to hard over a piece of cardboard. Some event tickets and invitations too. But 99% paper-free? That’s easily achievable today, and I’m the living proof.